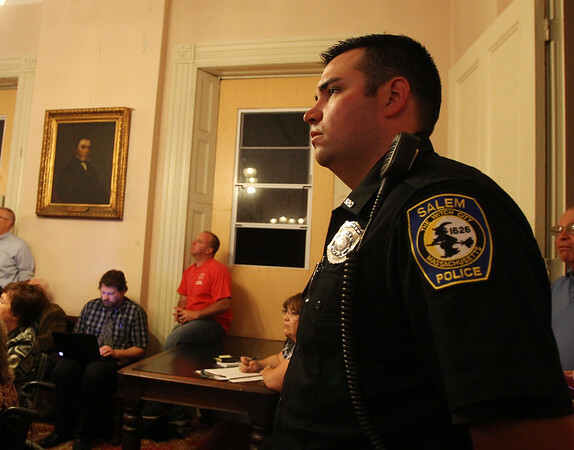 Salem Police Officer Jonathan Duzz listens to the proceedings in the Salem City Council chambers on Tuesday evening. DAVID LE/Staff photo. 9/23/14.